At three60design we believe the construction of a well-designed web presence is the key for instant client trust in an online world. We are highly experienced at delivering top quality projects to a wide range of clients, we have developed sites ranging from local small businesses, to large firms in Banbridge, Northern Ireland, Ireland across the UK and even North America. We want all our customers to know that when they decide to work with us they can be sure of getting the best possible solution EACH and EVERY time! 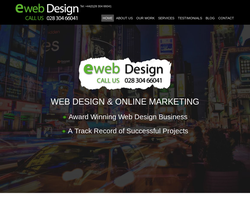 Web design, CMS, e-commerce, SEO and digital printing services. Website Design, Web Development, Web Hosting, Internet Marketing, E-commerce and Domain Name Registration. 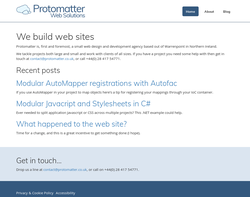 Web design, web development, web applications, web optimisation and web marketing. Web design, e-commerce, SEO, hosting and domain name registration. 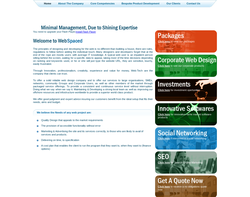 Web design, budget websites, domain name registration and web hosting. Offering a one-stop-shop, DHD provides top quality logo development, graphic design, web design & development, motion graphics & animation and 3D visuals. Award winning multimedia design company, David Henderson Design provides excellent marketing and media services. From concept to completion, DHD will deliver the perfect solution for you. 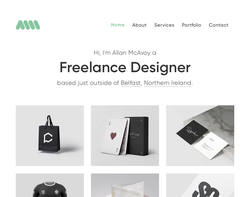 Hello, I'm Allan McAvoy a website designer from Bangor, Northern Ireland. I love creating stunning modern websites focusing on usability, functionality and branding. we help you with your website, social media campaign, email marketing & training needs. SocialClix is a Web Development company based in Newry City, Co. Down. 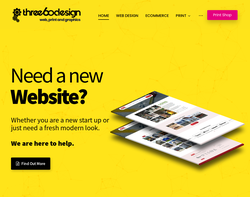 As a web design agency, we offer bespoke web designs and marketing strategies to all our customers. SocialClix help you maximise your social reach. We have a wealth of knowledge of the latest happenings in Web design, social media and on-line PR. 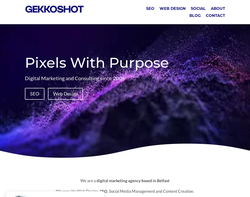 Our team is made up of forward thinking, creative and extremely talented people, with incredible insight into what works best for you in your website & social media marketing campaign. Our skills and experience allow us to tailor make packages that suit your business needs in today�s ever changing digital age. We specialise in working with SMEs in local environments, to provide you with maximum impact on-line marketing campaigns, targeted at your specific market, so that you can concentrate on the day to day tasks of running your business. We can help your business engage with your customers in a cost effective and beneficial way through building relationships and involvement in the conversations taking place on-line. 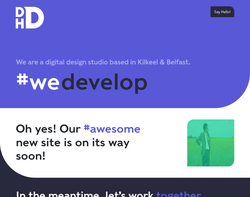 Professional Freelance Web Designer & Developer based in Newry, Northern Ireland. 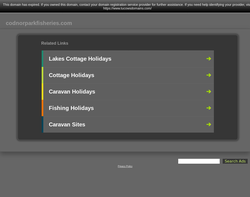 I create modern responsive websites, with a range of services such as Wordpress, Ecommerce and Print.